Comprehensive bed bug inspections, with K-9 Inspections available, and provide you with a comprehensive report upon request. 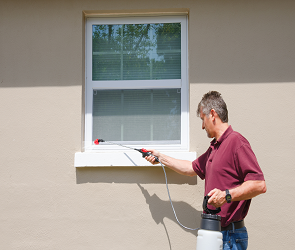 Termite inspection and treatment; for home owners, home sellers and home buyers. We will execute bed bug remediation. For landlords, we can teach you to spot telltale bed bug markings on mattresses, teach you how to spot the eggs, read the signs, and put you in a position to ascertain if your bed bug problem was likely caused by a tenant - which can allow you in some cases to pass along remediation costs to them.